We are a leading manufacture and supplier in this domain engaged in offering an extensive gamut of Flame Proof Panel for Petrochemical Industry. These are fabricated using finest quality raw material like, which are procured from the most eminent and reliable vendors of the market. Soft View Technologies Pvt. Ltd.
We Day Ch Engineering Established in the year 1989 an ISO 9001:2008 Certified Company. We are presenting excellent quality assortment of Fireproof Composite Panel. 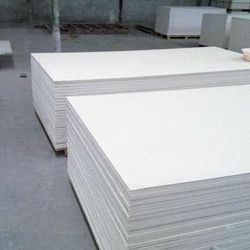 strong, durable, clean, smooth, fireproof, non-toxic , sound-isolation, earthquake-proof, even color , easy in fabrication, construction, erection and maintenance, light, heat resistant, and impact resistant, salty spray resistant and foul-resistant. We are offering best quality of Fireproof Panel to our clients. These panels have unmatched finish and smooth flat surface. These panels have the ability to withstand extreme temperature conditions and hence are applicable for both indoor as well as outdoor purposes. These panels are easy to maintain and easy to install.